Dubliner Evans is one of seven young players who have committed to Caly, a club who are developing a good reputation for developing young footballers and have now been given the title of the SPL Starfinders. He is joined by James Vincent, Danny Williams, Ben Greenhalgh, Marley Watkins, Harry Hooman and Curtis Allan. They have signed from clubs such as Hereford, Cheltenham, Kidderminster and Kendal whilst winger Greehalgh, who works as a body double for Cristiano Ronaldo and himself won a contract with Inter Milan through TV reality show 'Next Star', has signed from Ebbsfleet. 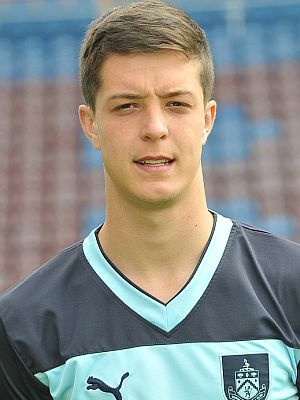 Evans was a member of our youth team in seasons 2010/11 and 2011/12, featuring in the two legged semi-final of the FA Youth Cup in March 2012 against local rivals Blackburn, and signed his first professional deal last summer. His first season as a pro saw him join Droylsden on a short term loan in the first half of the season and then feature in some of our behind closed doors games. The club confirmed he was being released at the beginning of April this year, along with Joe Jackson and Aryn Williams.